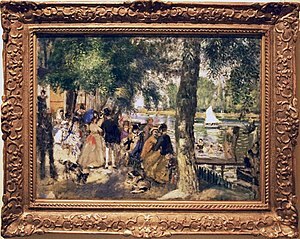 River races in Paris were once a regular part of life in the capital and Impressionist’s paintings remind us of the hay day of outdoor swimming back when the waters were clean and life was good. Yet things have changed; river pollution has kept both fish and human swimmers out of the Seine for more than 60 years. Back in the 80s things started to turn around. When he was Mayor of Paris, former President Jacques Chirac vowed to clean up the cities artery and to swim in it once it was restored. Although it is still usually illegal to swim in the river, the fish have secretly returned, rising from just 3 species in 1975 to 33 varieties today. In fact the river is now said to be as clean as it was 150 years ago. The race was to be split into two categories; a 10km race for the serious swimmer starting at the Josephine Baker floating pool barge, and going past Notre Dame, the Louvre, and the Eiffel tower. The 2.5km swim from the Eiffel Tower and ending at the Parc Citroen. The Paris à la Nage swimming race in the Seine was to take place on Sunday September 2nd. Read about river swimming at the Paris Olympics 1900. Discover the history of British Swimming and why wild swimmers in the UK were Hung Out to Dry.